Metrics give an E-commerce business a fine picture of everything from traffic quality to sales performance. In the era where marketers are supposed to understand the companies by numbers, an efficient analytics tool for E-commerce can’t be missing. Conversion relies on strategies developed based on the figures. So, what are the best tools that help make sense of the numbers? Without an analytics tool, your business drives a car with the eyes closed. Proceed to these eight best “tools of the trade” that give you the numbers without drowning yourself in a sea of data. Taking the first on this list, Looker sure has its own things to shine. The tool offers an industry-specific solution for any company looking for E-commerce analytics. With all critical metrics are centralized on the dashboard, you can comprehend the overall of your business and problems to mitigate in time. Being a new guy in the game, Ecomfit is highly valued for its brilliant integration of AI created specifically to boost your online sales. The tool features simple and seamless plugins compatible with any E-commerce platform available. Efficient reports with real-time input data make this tool worth every try now and then helping you to make the right decision for your business. Although free, Google knows how to make it the top in every line. Simply put, the platform provides merchants a richer insight of metrics beyond basic. It allows tracking traffic in every step of the funnel. Users can identify weaknesses as well as maintaining the performance of products on-site. This tool provides reports that dig down to individuals rather than the overview of the traffic. Brands that look to remarket to massive audiences via the channels that have the highest ROI. That way, you can figure out campaigns that work. The platform also allows creating trigger pop-ups and reminder box to deter audiences from jumping out of the site. Companies with goals to aggregate customers and site visitors from jumping too many hoops; thus, they will return to their abandoned carts. Woopra combats the plague of losing orders from forgotten carts by gathering customer profiles and showing you how they interact with the store. Customer feedbacks are well of decisive ideas. Yotpo transforms buyers’ words into actionable insights. Knowing what your clients want gives you a clue about what to improve and maximize your business’s capability. If your business focuses on tracking clicks, emails, and submissions without a tracking code, Heap brings in the best solution. The tool captures data automatically and gives your entire team access to empower decision making. For small and mid-sized online businesses, Clicky fits the budget and demand. The real-time monitoring capability enables the fast reaction to any change. This is especially good for those who wish a quick insight so that people can take action correspondingly. 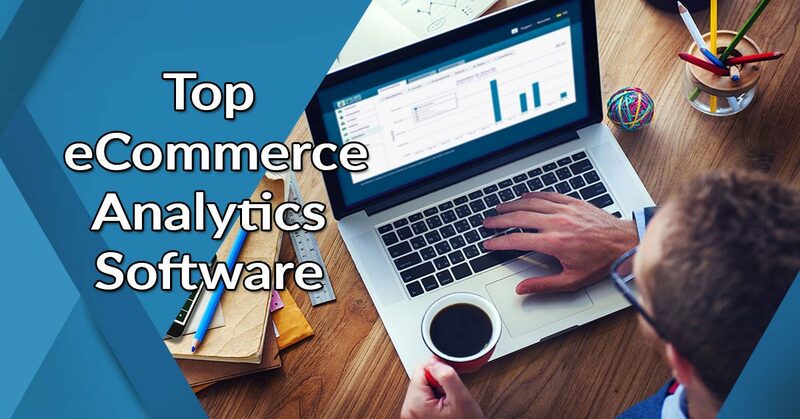 Knowing the ultimate analytics tools for E-commerce benefits in exposing the true strengths and weaknesses your business is facing. Hope these eight go-to resources about analytics tool for E-commerce have given you a clue of which tool to pick.